The Democrats hope the Black Lives Matter movement, like the Occupy Wall Street movement, will disappear amid the hype of the coming election season. “The Democrats have mounted a systematic cooption-repression response that will intensify as the election season – and Black cities – heat up.” The Democrats understand that, for the movement to succeed, their party’s power over Black America must be broken. The movement that is emerging under the banner Black Lives Matter is not yet one year old, but it will be dead before it reaches the age of two if the Democratic Party has anything to say about it. The movement’s greatest challenge will be to survive the impending mass mobilization of Black Democratic officeholders and operatives in a $5 billion presidential election season.The current Black-led grassroots campaign is, in very important ways, even more vulnerable to Democratic cooptation and dismantlement than was the white-led Occupy Wall Street movement, which succumbed to a combination of Democratic infiltration and repression – on top of its own contradictions – in the early months of 2012. 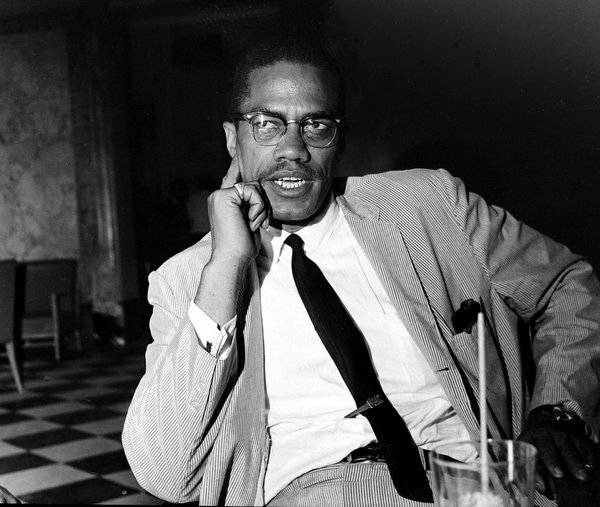 NEW ROCHELLE, N.Y. — FIFTY years ago today my father, Malcolm X, was assassinated while speaking at the Audubon Ballroom in New York City. I think about him every day, but even more in the last year, with the renewed spirit of civil rights activism after the tragic events in Ferguson, Mo., on Staten Island and in countless other parts of the country. What would he have to say about it? People still look to Malcolm as a model for strident activism. They lament the lack of such a prominent, resonant voice in the modern dialogue about race. But they might not like some of the critical things he would have to say about the strategies of today’s activists. TRENTON – A mural was painted over Monday afternoon after Trenton police expressed concern that the painting, depicting Michael Brown, a Ferguson, Mo., teen who was fatally shot by police in August, sent the wrong message about community and police relations. The painting depicted Brown’s face with the caption “Sagging pants … is not probable cause.” Will “Kasso” Condry, the artist behind the mural, said he wanted to start a conversation about racial profiling. The Trenton Downtown Association elected to remove the image after hearing concern from police officers that the mural sends a negative message about the relationship between police and the community.